Chat has gotten very important for company and overall customer support. If used properly, support via Chat can be a real efficiency booster. A downside of Chats is when nobody responds or a Bot responding to the customer. Receiving a message like “My name is Nina, what can I do for you?” after sending a message with my issue. Zammad does not respond to chat messages on it’s on to ensure that there’s no strange delay coming afterwards. Zammad will fire a (configurable by agent) auto response as soon as the agents accepts the Chat request. 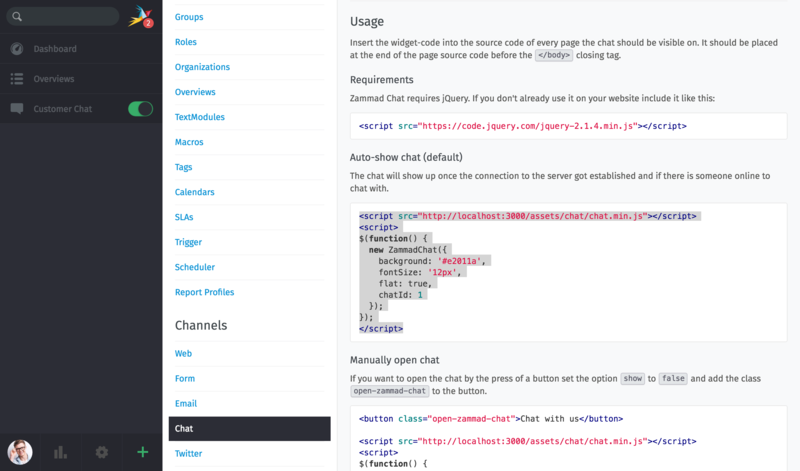 Zammad will tries to adapt your main website colors to the chat. 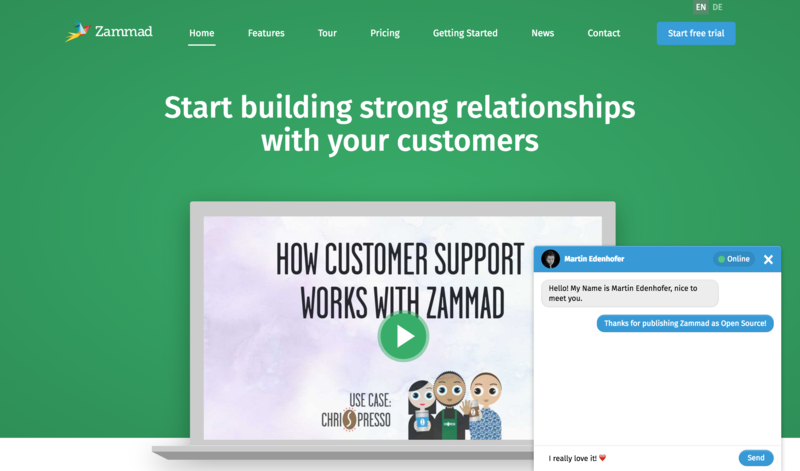 You can also adjust those colors allowing you to integrate the Chat into your website, as it would have always been there. 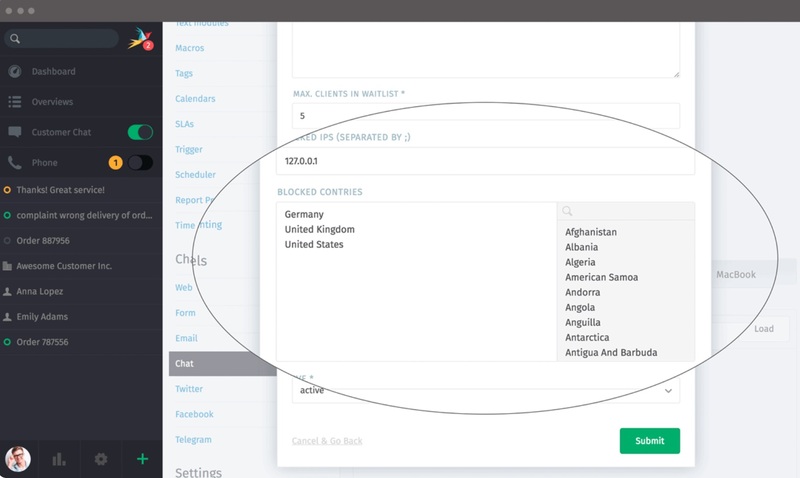 You can create chat widgets for your web pages to allow visitors to chat with you. You can set up chats for different websites and edit them independently. 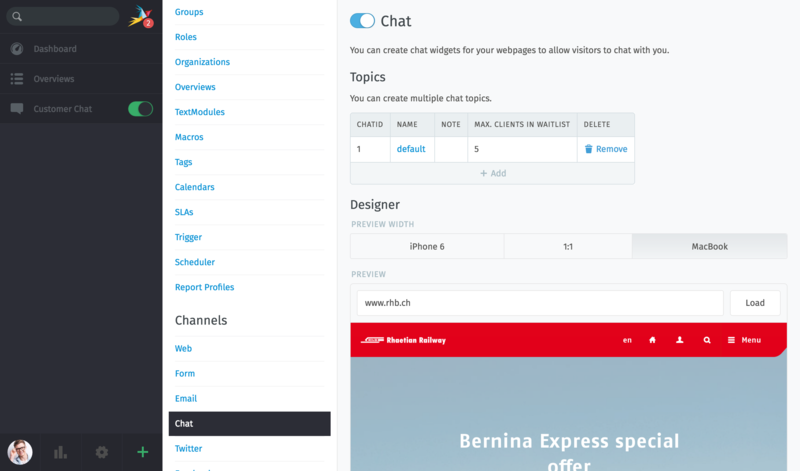 The integrated designer helps the chat-widget to adapt to the website color. If the proposed design does not like, this can be adjusted manually. Through the different previews you have the possibility to display directly how the presentation looks at different devices. Insert the widget code into the source code of every page the chat shall be visible on. It should be placed at the end of the page’s source code before the </body> closing tag. 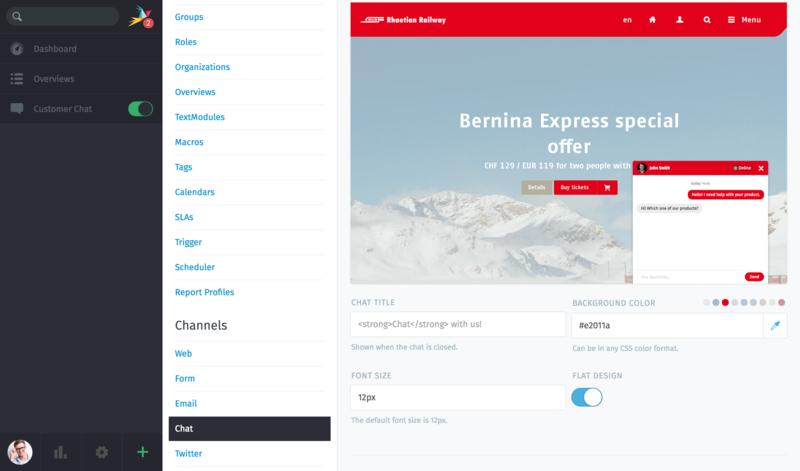 In the adminarea you can also find more information about the customization of the chat.